Commercial Mower Depot is a top source for Stihl Power Equipment. Located in Silver Spring, MD, our lawn equipment store carries Stihl’s full line up of chainsaws, trimmers, blowers, trimmers and cut off saws. We can special order virtually any piece of equipment for next day delivery. Not sure what piece of Stihl equipment is right for you? Read on below or give us a call at 301 326 1121 for advice from a knowledgeable representative. The MS170 is the ideal chainsaw for the do it yourself homeowner. The lightweight saw makes quick work of small trees, limbs and other debris. Easy to start and forgiving for the novice chainsaw operator. This is our #1 selling chainsaw to homeowners in the DC, MD & VA areas. The MS261 is our top selling chainsaw for the landscape professional. The large 20″ bar cuts through large diameter trees and limbs with ease. Stihl makes the best commercial grade saw on the market and any landscaper will benefit from having one of these in their fleet. Low emissions and all day working performance make the MS261 a mainstay among landscape contractors. For generations, homeowners around the world have trusted Stihl trimmers to help keep their lawns manicured and in tip top shape. If your looking for a powerful trimmer that is easy to use, skip the big box store and head on over to Commercial Mower Depot. Our knowledgeable sales reps can help you pick out the right Stihl trimmer for your budget and needs. When you purchase Stihl equipment you are purchasing quality. 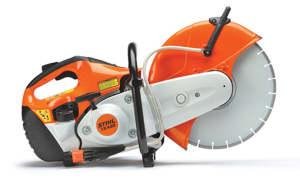 Stihl utilizes several design features that make it a better option over the competition. Their powerful, low-emission engines can tackle even the most overgrown walkways, fence lines and edges. Keeping the end user in mind, Stihl manufacturers each string trimmer to be light-weight and ergonomically comfortable. Their Easy2Start technology means less effort to get your machine up and running. Whether your a homeowner in the DC Metro area or a professional landscaper, Commercial Mower Depot has the right Stihl string trimmer for you. No homeowner’s arsenal of lawn equipment is complete without a powerful blower. Whether you’ve got walkways full of lawn clippings or a yard full of leaves, a Stihl blower will help you get the job done. Similar to their other equipment lines, Stihl has a variety of blowers that combine powerful engines with lightweight design. Air volume is the key factor in determining how much debris you can move. Measured in cubic feet per meters, Stihl blowers produce some of the highest air volumes compared to other brand name blowers found at the big box stores. Visit us today to speak with a representative who cares about the equipment you are purchasing. Stihl’s TS420 is the most widely used cut off saw in the hardscape and general contracting business. A lightweight design combined with a powerful engine makes this a must have for any serious contractor. Reliability in the field is a key component to profitability. 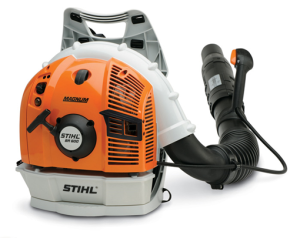 Users will enjoy Stihl’s innovative X2 air filtration system which ensures smooth operation with minimal maintenance. Stop by Commercial Mower Depot today for a demo on the TS420.